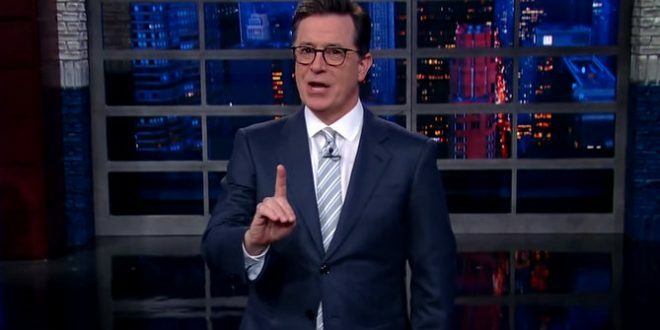 Stephen Colbert Rants: Stop Pretending That Trump Is A Symptom Of Something, He IS The Disease [VIDEO] - Joe.My.God. Colbert read the tweet out loud in his Trump voice and reacted, “First of all, someone bleeding badly at your door and you say no? It sounds like your health care plan.” “This is shocking and vicious, so on brand,” he added.